A masters runner for New Balance explains what body mechanics are and why you should pay attention to your form. 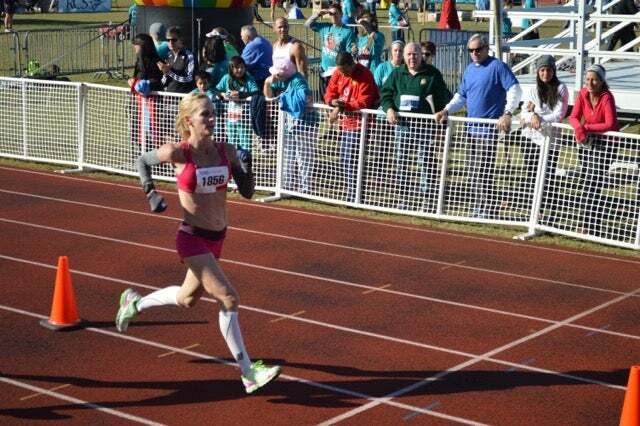 This is a submission shared with permission from the elite New Balance Tampa Masters Racing Team. Whether you are a beginner or an advanced runner, a collegiate or masters runner, running mechanics are important to everyone. Actually, they are vitally important to improve running economy. Why? Good running mechanics translate into PR’s, more efficient running, and more importantly, injury prevention. Efficient symmetrical running prevents unilateral leg injuries such as stress fractures and various types of leg tendonitis. Simply put: Are the arms and legs moving the same with each stride with regards to arc of motion, ground counter force, ground push off force and time spent on each leg when in contact with the ground? In other words, what are your arms and legs doing? 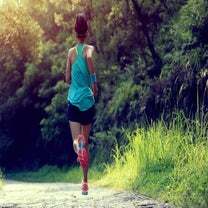 To run with the least amount of wasted energy, your arms should hang relaxed at a 90-degree angle swinging in front of you, not across your body, or the motion your arms make if you ‘pick your nose, pick your pocket.’ Another important tip is to lean forward slightly at the ankles, not the hips. Visualize a snow skier. Whether you are a forefoot striker or a heel striker, your foot should land underneath you, not in front of you. Finally, try to eliminate any bounce in your stride or body sway from side to side. While all runners are different, keeping these tips in mind means you’ll perform better in a track workout, 5k or your next marathon. I hear many runners say, “I just don’t think about my mechanics when I run.” An easy way to remember is pick one thing to focus on each week whether it’s arm swing, hip turnover, foot placement, etc. Then, the next week, pick something different and add on to what you already practiced the previous week. Over time, thinking about how your body is moving while running will become second nature. It’s powerful information and can help you avoid injuries and setbacks. 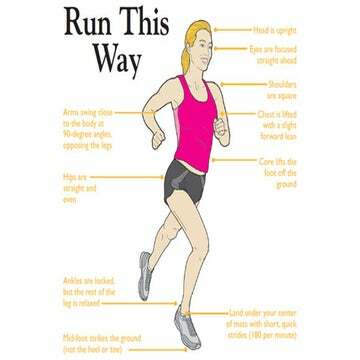 I encourage all runners, regardless of level or age, to have their running mechanics analyzed. When an athlete’s running mechanics are analyzed, about 28 or so movement patterns are looked at, at 6 different speeds. You can do this with your coach or a physical therapist who specializes in gait analysis. It’s good to be aware of how your body is moving while in motion. This helps you self-correct during a race or training session. If your arm swing is off or your heel is whipping, that is a clue that little adjustments need to be made, to train and race successfully—and most importantly—avoid injury.